At Social Media Camp last a couple of weeks ago, I attended a workshop called Get on the Bus: A Social Media Story, presented by Kemp Edmonds, who works at HootSuite. 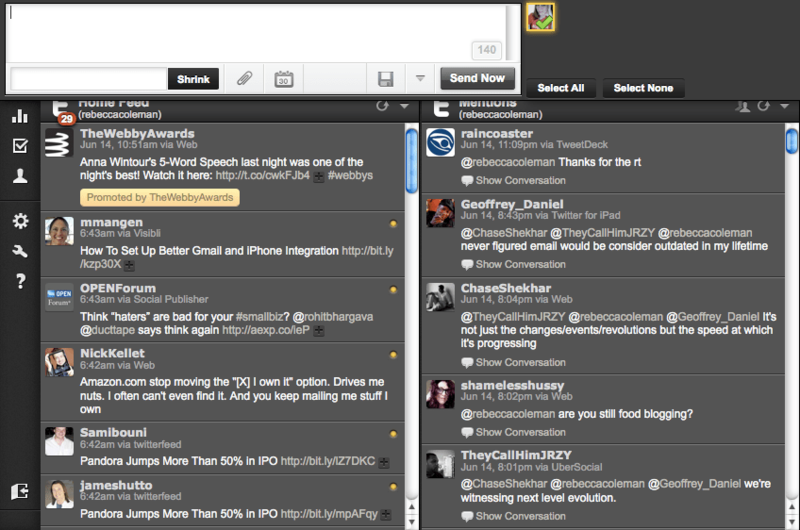 If you’re not using a Twitter client yet, do yourself a favor and start. Twitter clients allow you to manage multiple Twitter accounts without having to sign out and sign in every time. In addition, they allow you to group the people you follow into lists, making it easier to quickly check in with the people that are most important to you. They also offer additional functionality not found on Twitter.com, like built-in link shorteners, tweet schedulers, and the ability to upload photos. There are lots of them out there, but today I want to feature HootSuite. Part of the reason I love them so much is because they are a local company, with roots right here in Vancouver, and it’s really important to me that we support local business. They also offer a really great service, so it’s really a win-win. Here’s my interview with Kemp about HootSuite. RC: Tell me a bit about the background of HootSuite. KE: HootSuite was born out of a need that a Vancouver-based marketing company, Invoke Media, had to manage multiple Twitter accounts for their many clients towards the end of 2008. In December 2008 HootSuite was born. originally named BrightKit with an Owl as the logo. The team reached out to crowd source a new name and HootSuite’s journey began with Ow.ly, our mascot and our URL shortener at the helm. It was designed for individual users but built-out so the largest organizations could easily manage multiple social media accounts with measurement, accountability and scheduling among many other useful features. A team of 7 in January 2010 has grown into a team of nearly 50 in May 2011. RC: What exactly is HootSuite? KE: HootSuite helps organizations use the social web to launch marketing campaigns, identify and grow audience, and distribute targeted messages across multiple channels. Using HootSuite’s unique social media dashboard, teams can collaboratively schedule updates to Twitter, Facebook, Linkedin, WordPress and other social networks via web, desktop or mobile platforms plus track campaign results and industry trends to rapidly adjust tactics. Launched in Dec. 2008 by Invoke Media, HootSuite’s rapidly growing user base includes governments, artists and organizations like The White House, Martha Stewart Living Omnimedia, SXSW and Zappos. 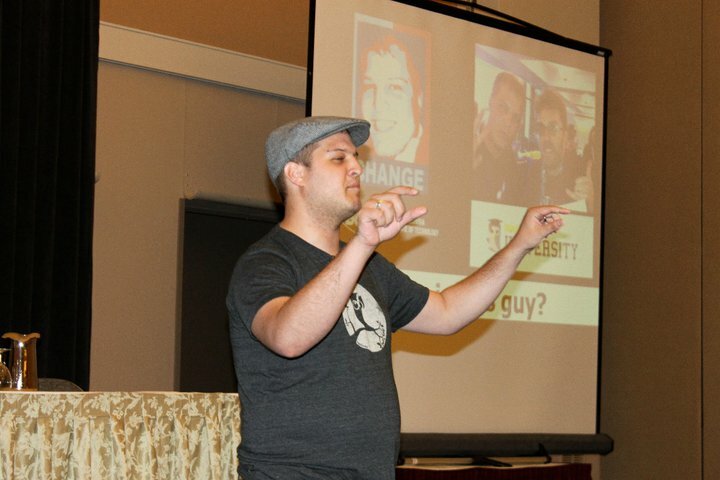 Accolades include awards from Mashable’s Open Web, Canadian New Media, and Shorty Awards. RC: What are some of the features that make it unique from other Twitter clients? 1. We are a freemium product with near full functionality for free. More than 95% of our users use the free version. 2. We are an engagement platform with metrics, team functionality and scheduling built-in. 3. We are a web-based application that doesn’t require a download and install although we now offer an installable application for Linux, Mac and PC and many browser plugins including the all-new HootBar – http://hootsuite.com/extensions. Our mobile apps for iOS, Blackberry and Android are totally free – http://hootsuite.com/mobile. RC: So, you have a smartphone app? How can that help to keep my tweeting seamless?